Managing a group of 20 students and teachers, each with their own level of computer knowledge, on an advanced web design topic such as this was a challenge. But ultimately there is no greater reward than teaching something like this to a group of students and teachers. Seeing peoples reactions when all the pieces came together and the whole thing worked is the greatest reward of all. 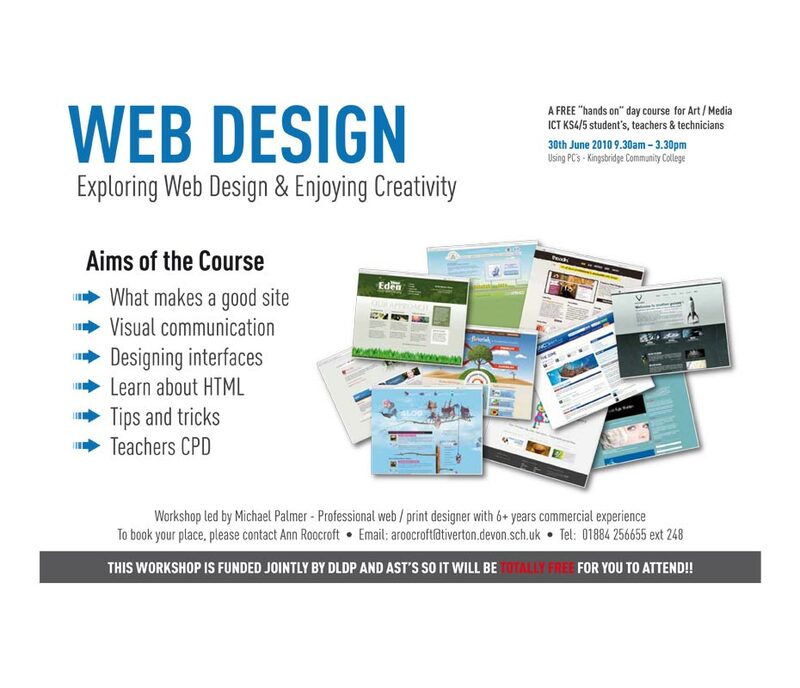 Initially the idea for this workshop was to teach some basic html/css skills and talk about what makes for a good web site, visual communication, designing interfaces and basically learning about web design in general. However this idea was quickly (or foolishly) enhanced to try something a whole lot more challenging and complex. Creating a menu system using photoshop and hand-coding the html and css. When you’re working by yourself on a project you create your own little problems you can work through and solve. Working with a large group, the problems that need solving are proportionally greater and if I’m honest proved more demanding than any corporate boardroom environment.